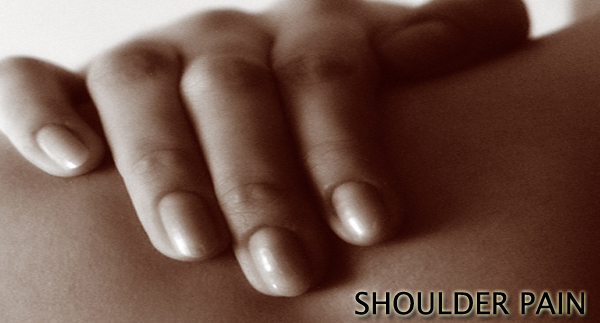 Rarely, other causes of shoulder pain exist including nerve problems, tumors or infection. Although arthritis takes on many forms, it most commonly involves wear and tear leading to changes in the architecture of the joint. Frequently, stiffness, swelling and pain are present. Sports injuries overuse syndromes and work injuries can worsen this condition leading to tightness, stiffness and restriction in range of motion. Acute tendonitis associated with overuse such as tennis elbow, golfers elbow or occupational injury. Swelling and inflammation of a bursa (fluid-filled sacs located around the joints which lessen the friction caused by movement) may lead to bursitis. Copyright © 2006 - 2010 Dr. Mark Young. All Rights Reserved.